KZN MEC for Cooperative Governance and Traditional Affairs (Cogta) Nomusa Dube-Ncube has commended Isizwe samaNtungwa under the leadership of Inkosi Siphamandla Khumalo for being innovative in tackling social ills and fostering a better sense of community through the annual Qomintaba Cultural Festival which took place in Utrecht in the eMadlangeni municipality today. 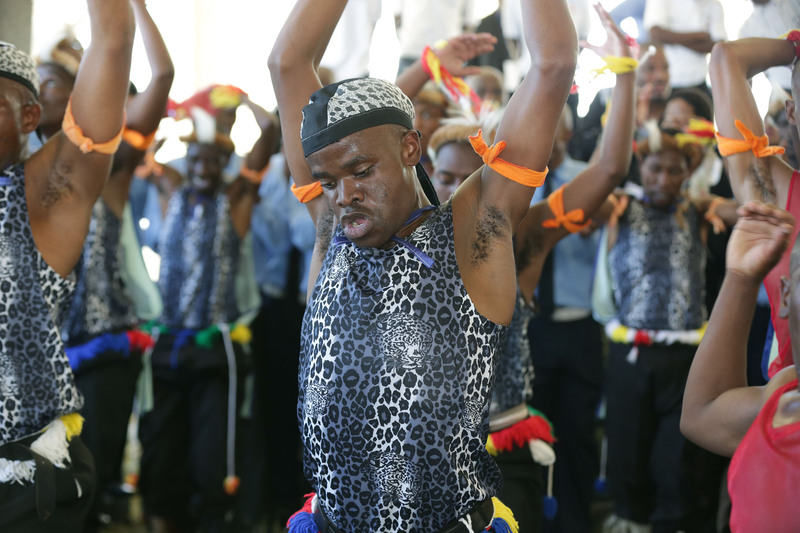 The festival is a celebration of culture and heritage of amaNtungwa and serves to inspire and educate young people about the importance of education, respecting the elderly, fighting against the abuse of women and children. Inkosi Khumalo said that this initiative has grown in leaps and bounds as it continues to bring together thousands of people within Isizwe samaNtungwa. In her address at the festival, MEC Dube-Ncube thanked Inkosi Khumalo for being exemplary in the hard work he has done to bring together Isizwe samaNtungwa with the aim of empowering them. “We truly are blessed as a province to have Amakhosi such as yourself who are at the forefront of finding innovative ideas that can be used to educate and empower our communities so that we can succeed in our battle against social ills, such as women and child abuse,” said Dube-Ncube. The festival attracted various Isicathamiya groups who performed songs and dance.